While we listen to our favorite music suing our smartphones, its audio quality is not the most desirable. We bring along a portable speaker, but the design looks too futuristic. 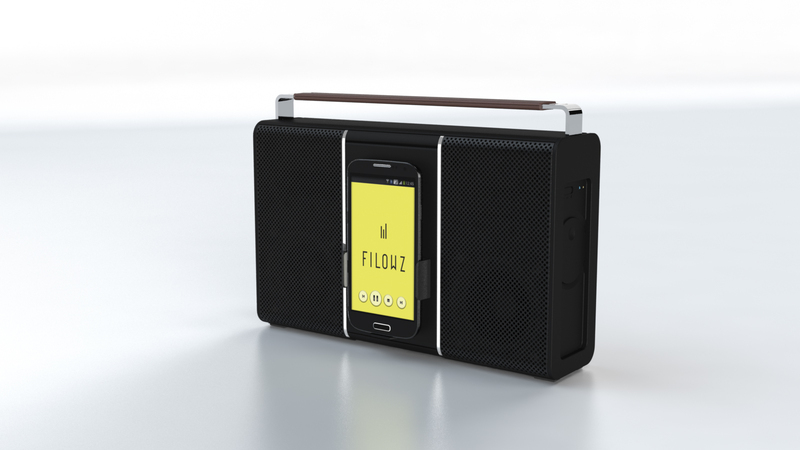 Filowz, a France-based startup, is giving you a sense of nostalgia with the Sonomad, a hi-fi wireless portable sound system that gives high-end stereo sound and easy portability. On the surface, it actually looks like a portable radio back in the 1970s, complete with a handle and a shoulder strap. It is compatible with any smartphone, mobile device, and other media players, which can be connected via Bluetooth (within 30 feet radius) or through a standard stereo input. You can carry it around and keep it playing for up to 20 hours straight. You can also keep your smartphones safely with Sonomad’s universal dock, as long as it is less than three inches wide and 6.2 inches high, which is basiclaly most phones today. The Sonomad can also be used as an alternative battery pack for your smartphone, connecting the two devices using a USB connector to give your phone an little more boost to keep the music playing. 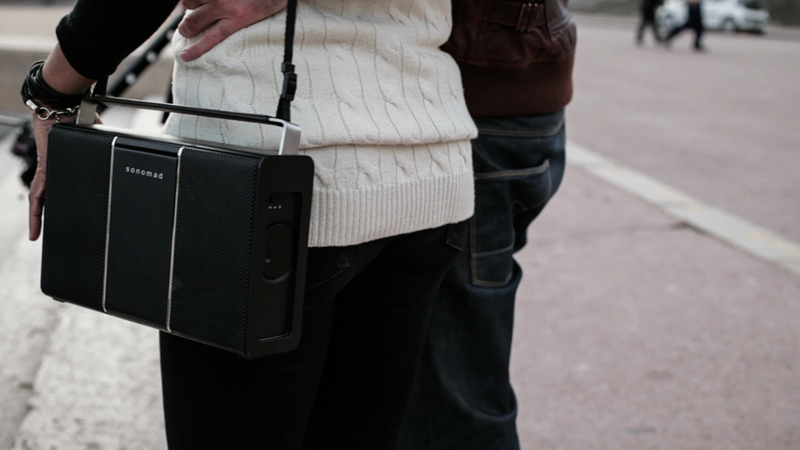 This portable Bluetooth speaker is being funded on Indiegogo, with a $90,000 goal. You can have an early bird model for $339.